'That certainly is brave!' 'You sure this is a good idea?’ ‘There barely is peace there now!' Those are just a few of the first reactions when we tell people about property investment options in Mozambique. And who can blame them? Investing in any country in Africa comes with doubts and worries, and nothing can be guaranteed. Looking beyond this initial barrier however one can see that African economies are among the fastest growing in the world, and many are rising out of the ashes of conflict and developing into growth economies with very bright future. Case in point: Mozambique: Yes, the history is tumultuous and violent. Yes, there is an AK-47 on the flag. And yes, not 30 years ago Mozambique was one of the poorest countries in Africa. Today, however, is not 30 years ago. Today Mozambique enjoys peace, a measure of political stability and continuity. 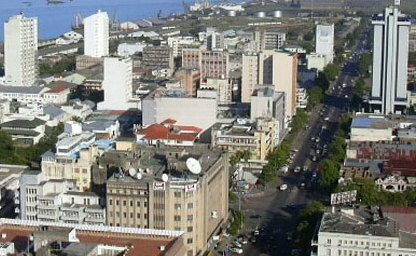 Today, Mozambique offers stability of business investments. Today, Mozambique has several megaprojects driving the economy, making it one of the fastest growing economies in the world. Mozambique offers a wide variety of investment opportunities for savvy investors, ranging from mining projects and tourism all the way to property development. Nacala, located in the province of Nampula, is home to the deepest natural port in Southern Africa - a major access point not only to Mozambique, but also to neighboring Malawi and Zambia. Already busy exporting large amounts of coal and natural resources, the port is being updated and expanded under the Port of Nacala Development Project. Additional to the harbour development come infrastructure upgrades, most notably the Nacala Corridor Project. which aims to build a 912 kilometre-long railway from the coalmines in Tete to the Nacala port. Once completed, this will allow Nacala harbour to handle 100 million tonnes of coal a year, with quick loading/unloading of the cargo, and storage. Investments for these projects are not only local, but also come from several African countries as well as Japan and Brazil - already an indication of a changing mind-set about investing in Mozambique. Nacala is a beautiful town, surrounded by tropical beaches known for scuba diving and relaxing. Just south of Nacala is Mozambique Island, a World Heritage site. With a growing number of tourists every year, Nacala is worth looking at in terms of property developments, given that Nacala is slated to grow explosively in the months and years to come. For the savvy investor there are a lot of different opportunities here, keeping in mind a certain level of risk. Taking this risk though can lead to outstanding rewards in the long term. From property developments to mining, infrastructure, business and tourism - all economic sectors in Mozambique are promising great things for the future, so the time to invest is now! To find out more about investment opportunities in Mozambique, contact the Casa Nacala Property Development Team.